PEV Sales were on the fast lane in 2018, growing 95% regarding 2017, to 8.241 units, selling more in one year than in the previous ten together, allowing the market share to hit a new all time high (3,6% PEV share), almost doubling last year result (1,9% share). Will we see it reach 6% in 2019? 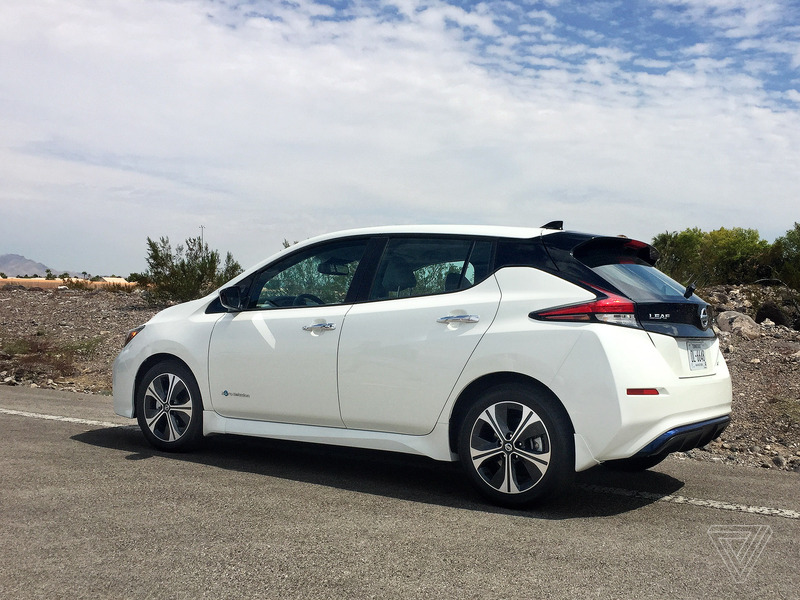 After losing the 2017 race to its Renault Zoe cousin, in 2018 the Nissan Leaf recovered the models title, hitting a new all time high for a PEV in this market, with 1.593 units, being its 4th title, after the 2010, 2011 and 2016 awards. This time, the Renault Zoe was relegated to #2, despite seeing its sales grow 74%, all because the Leaf grew four-fold(!) regarding 2017. Elsewhere, two mentions to models beating their personal records, both Tesla nameplates hit record results in December, culminating a great year for Tesla in this market, which has seen its sales grow 166% YoY, while the Volvo S/V90 PHEV joined the Top 20, thanks to a record 26 deliveries. In the manufacturers ranking, BMW (22%) won its third title in a row, with Nissan (19%) returning to the podium in Second Place, while Renault (16%) won the last place of the podium. Interestingly, the best selling brand outside the podium was Volvo, with 7% share, with the local importer seeing its efforts rewarded with a #4 spot, ahead of the German brands (BMW excepted) and the Koreans, although in this last case, the local Hyundai (2%) and Kia (3%) importers are not very active, so…One can't expect miracles. Finally, looking at 2019, the Zoe and Leaf should continue to rule the market, with both probably reaching 2,000 units each, while the Third Spot should end in the hands wheels of the Tesla Model 3, with some 1.400 deliveries. Can you tell me about sales records in Japan and Canada? Nice increase of EV sales year over year for Portugal. Clearly this is driven by PHEV sales which dominate 15 out of 20 spots??? I can easily see the Leaf hit 2,000 especially with the new model coming out soon to EU and the Zoe close behind. What I cannot see is the Model 3 getting anywhere close to 1400 deliveries unless Tesla releases the SR model in 2019 for EU which I do not think will happen. Current Model 3 order count for Portugal (over a month old) shows at 237 orders placed. I can see when MR comes out there will be another 150-200 orders place but I would be really shocked to see over 600 model 3s delivered in Portugal in 2019. This data is only focused in new car sales but to have a real market share percentage it would have to include the huge amount of imports from all over Europe. The amount of imported Tesla's for example, are much higher then new ones. I knpw, but i do not have oficial data on that. Can someone has that kind of data, please share, ok? 1400 Model 3 in 2019 ? Hahahaha.NOT BY A LONG SHOT ! By the looks of it won't even sell half of that. All will depend of the acceptance of the MR version and especially the date of the SR availability in Portugal. José, it seems that ACAP had, at last, start to release statistics for Tesla car sales in Portugal since this January. Thanks, really appreciate the tip! I would like to see how the model 3 sales are doing in Portugal. 97 units in February, being #2 in February, only behind the Nissan Leaf.